As a follow up to my guide on choosing a handgun for new shooters, I made a video covering the flip side of the issue. What happens when we try to get by with a handgun that’s less than ideal? Sometimes we can find a way to make it work, but inexperienced shooters often struggle. Bottom line — using a sub-optimal gun is no fun, and when shooting isn’t fun, we’re less motivated to get better. Watch the video for details, or skip down to the transcript below. 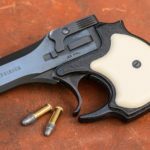 A couple of weeks ago, I gave some guidelines for choosing a handgun for self-defense and I recommended a few specific models that I think would cover the needs of most people who are new to shooting. That list wasn’t intended to be exhaustive. There are a ton of other suitable handguns out there. But there are also a lot of really bad ones and today I want to talk about the potential consequences of choosing the wrong handgun. I think this is relevant for less experienced shooters, but also for those of you who are going to end up helping out friends and family members who are trying to pick out their first gun. Any handgun could be the wrong choice if it’s not a good fit for the shooter and their specific situation. And some handguns are just objectively terrible because they’re either poorly designed or poorly made. In either case, there is a valid argument to be made that we in the shooting community place way too much emphasis on gear selection. And that’s probably true. So I’m not going to try to tell you that you will be killed in the streets if you choose a gun that’s not on my approved list. In reality, people manage to defend themselves all the time with crappy guns. The type of gun we have with us at the time of a violent attack is not likely to be the primary deciding factor in whether we survive that encounter. At the same time, there are some limitations to that cliché analogy, “It’s the Indian, not the arrow.” The Indian didn’t learn how to shoot using a broken bow and crooked arrows. I think it’s important that people start out with good equipment whenever possible. The guns you choose for self-defense and the guns you practice with — particularly for inexperienced or untrained shooters — can have a huge impact on how you develop as a shooter, and whether you even decide to keep trying at all. Choosing your handgun wisely can make it very easy to develop some basic self-defense skills. But trying to power through with a gun that is less than ideal can lead to unnecessary roadblocks to improvement and can even negatively influence your mindset toward self-defense in general. For example, one of the most common mistakes people make when they’re picking out a self-defense pistol is to insist on a gun that is too small for its caliber. This could be a magnum snub nose revolver or a pocket .380, but lately, I see it most often with sub-compact polymer .40 and .45 caliber pistols. These are some of the most miserable little guns out there, but unskilled shooters get suckered into buying them all the time — usually men who believe Newton’s third law of motion doesn’t apply to them. Almost without fail, these guys end up struggling to achieve anything close to competent shooting. Compared to their 9mm counterparts, the larger caliber subcompacts are really difficult to control. 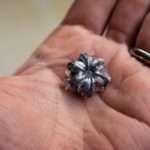 They are usually uncomfortable to shoot for more than a couple of magazines at a time and the excessive recoil makes it really easy to develop a bad flinching habit. Large calibers should be for large handguns. Another common mistake is to overlook hand size when choosing a handgun. And I don’t just mean whether it “feels comfortable” in your hand at the gun store. You need to be able to reach the trigger with your index finger without that finger touching the frame. If there’s a manual safety, that needs to be within reach of your thumb without shifting your grip. It should not be a strain on your fingers or your wrist to manipulate the pistol. If the gun doesn’t fit your hands, you’ll end up wasting a lot of training time trying to figure out how to modify your technique just to operate the gun. That’s training time that could have been devoted to fine tuning your skills if you had started with a gun that fit better. One more example of a common mistake is choosing a gun based solely on price. I understand being on a tight budget and having some very real financial limitations. If that’s your situation, obviously, you do the best you can within your budget. But a lot of people who can afford a decent gun just refuse to believe that a $400-500 pistol could possibly be better than a $250 pistol. I’m not saying there aren’t any decent low cost guns out there, or that expensive guns are always better. But usually, the companies that offer the cheapest handguns are cutting corners on quality. On average, cheap handguns malfunction more often at the range and under actual fighting conditions than moderately priced guns. Maybe that budget pistol will work when you actually need it, but why would you want to take that chance if you can afford an extra $100 for a gun that’s statistically more likely to function? Even if you make one of these mistakes when you buy your pistol, you will probably still end up with an adequate self-defense tool. But let’s consider some of the indirect consequences. An inexperienced shooter who buys a sub-par gun for self-defense can easily become discouraged by how difficult it is to consistently hit the target at the range.They can be turned off to shooting altogether because of a pistol with sharp recoil. Or they may be quickly frustrated by trying to figure out why their gun can’t make it through a full magazine without a malfunction. Dealing with these issues when you’re trying to learn a new skill can have a powerful demoralizing effect. Shooters who have bad experiences early on are less likely to practice or seek out training. They are less likely to develop safe gun handling skills which makes them a liability every time they touch a firearm. If shooting their carry gun feels like a chore and they don’t ever make any serious improvement, they will probably either lack confidence that they will be able to use the gun successfully in self-defense, or they will overestimate their ability. Either way, they are in a poor position to make good decisions under stress about when and how to apply deadly force. Ultimately, the gun itself is a small part of the self-defense equation. That said, I really believe that in a lot of cases, people buy the wrong gun before they understand what kind of gun they actually need and that has a domino effect that results in a lack of confidence and skill. Without those two things, I think it’s questionable whether they are any better off than before they bought the gun.